Location: Room 356, Arts West Building, University of Melbourne. 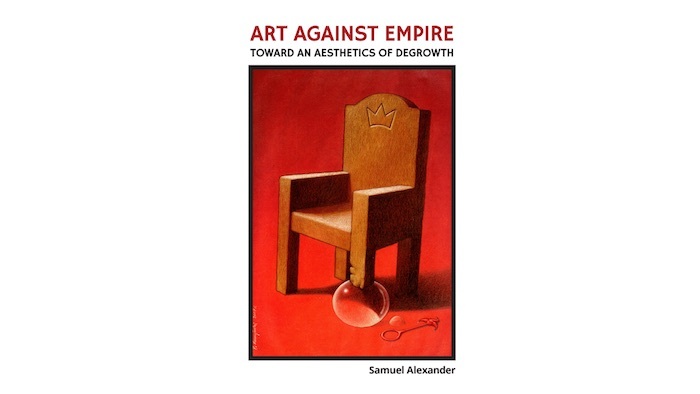 You are invited to the launch of Dr Samuel Alexander’s new book, Art Against Empire: Toward an Aesthetics of Degrowth. In this book, degrowth scholar Dr Alexander has curated over 170 ‘culture jamming’ works of art that challenge consumerism, the growth economy, and postmodern relationships to technology, while also provoking thought about different, ecologically viable modes of living and being. The book opens with a stimulating essay on the role of art and aesthetic interventions in driving social, environmental, and political change, and Dr Alexander will briefly discuss these ideas at the launch in relation to the emerging ‘degrowth’ movement.